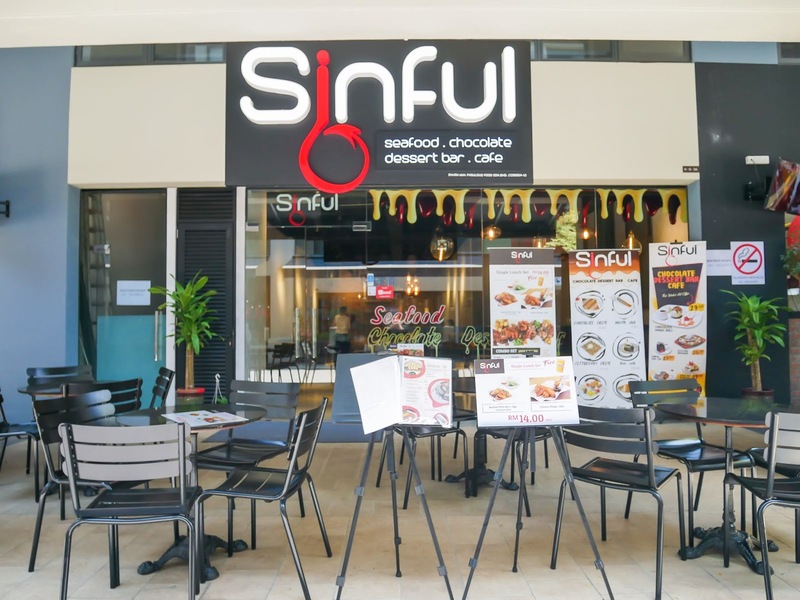 Sinful Seafood and Dessert is located at the ground floor under the Hutton Block (H Block). This is a fourth-month-old eatery that just opened in last year November. 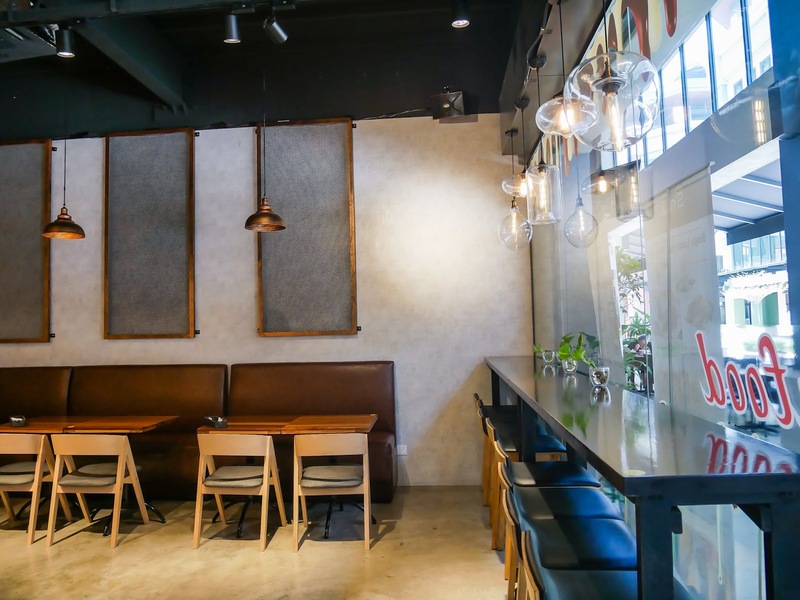 The overall ambiance inside the cafe is pleasurable. 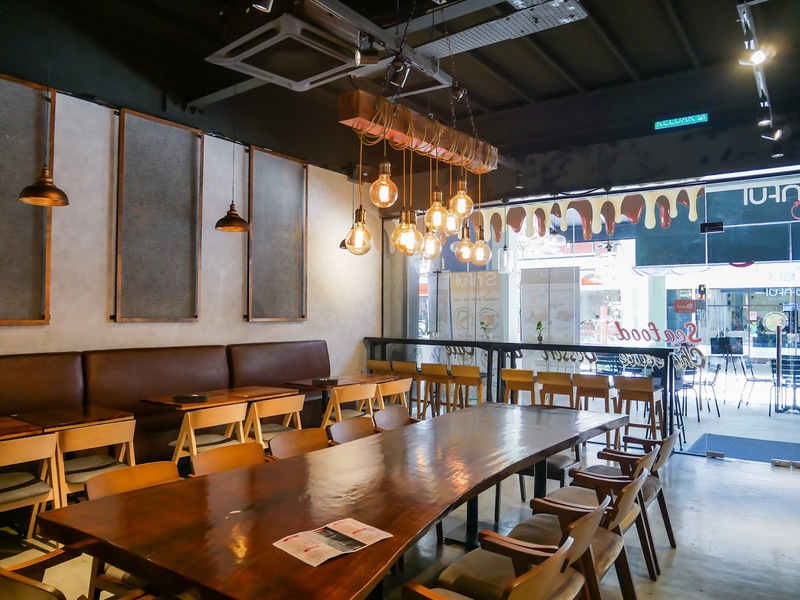 I always like the dining tables and chairs that made of wood, because they look very stylish, and also make the whole place looks like a home. Very comfy when sitting inside the restaurant while enjoying my lunch there. 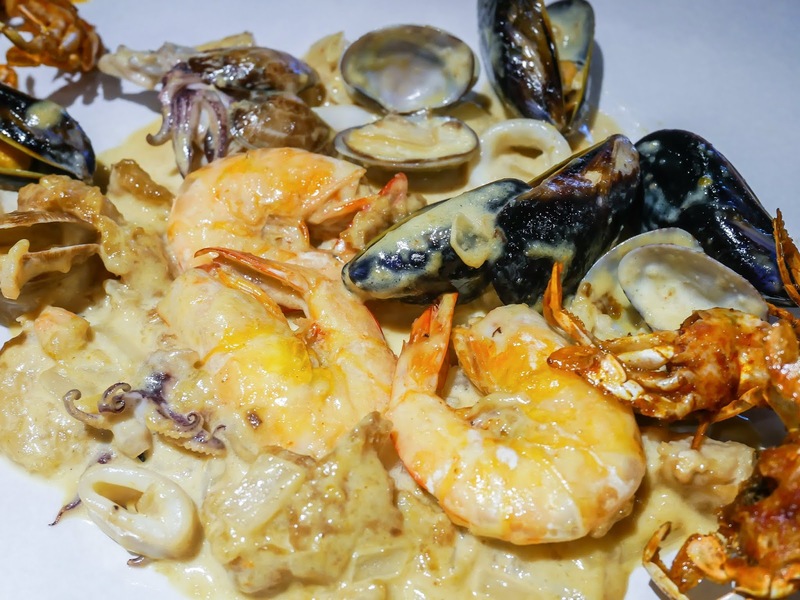 We gave a try on they new launched of the Seafood Combo Sets. There are different types of combo to accommodate up to 10 people, starting from single to party combo. 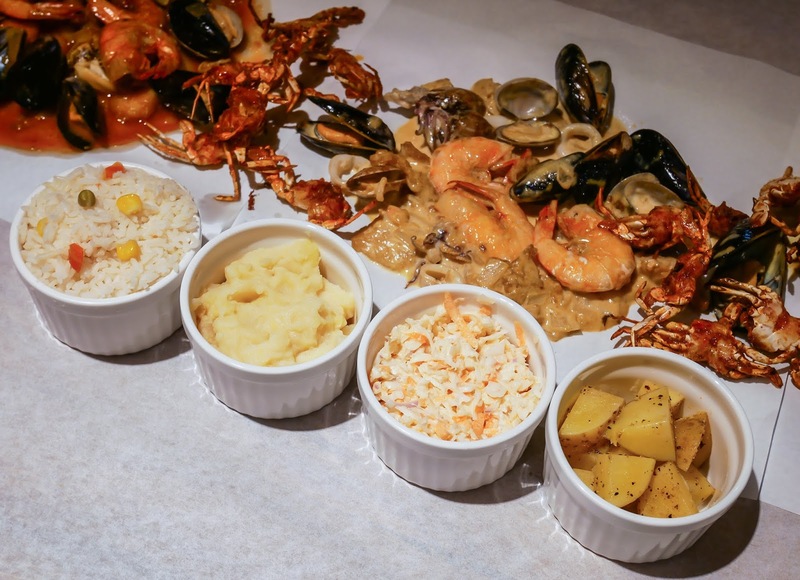 Besides, in addition to the taste of the seafood, there is also a selection of sauces to choose from, such as sinful signature, honey mustard, Bbq, spicy & sour, garlic and curry. We ordered three single combo for 5 people to share because we want to spare some rooms for the desserts after the main course. 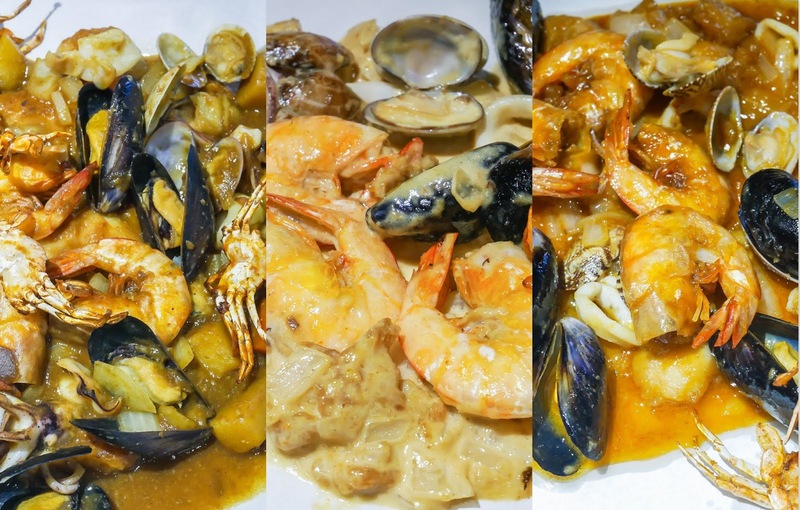 If you come here just for their main courses, I would suggest you to order at least 1 single combo for each person, because their one serving portion is not very big, which I think it's easy to finish everything by one person. 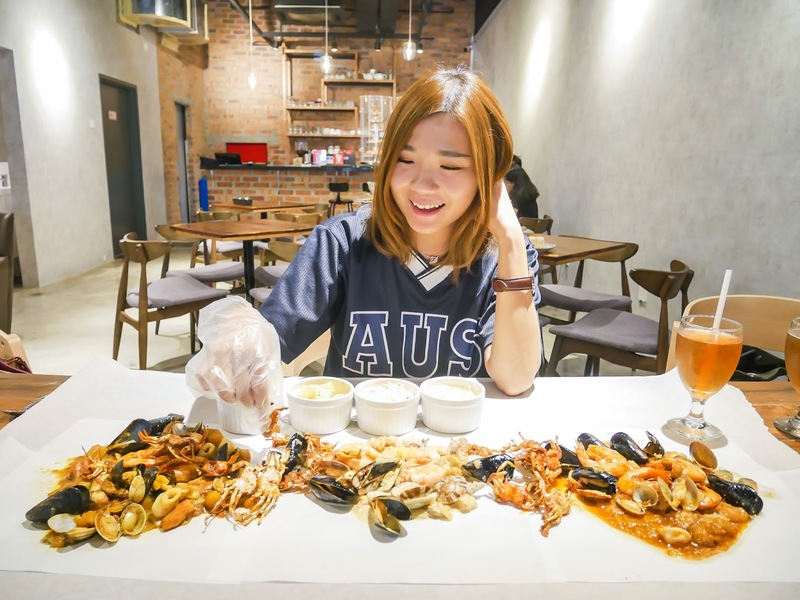 Anyway, each sets come with the same types of seafood, such as prawns, mussels, squid, fish, soft-shell clams. 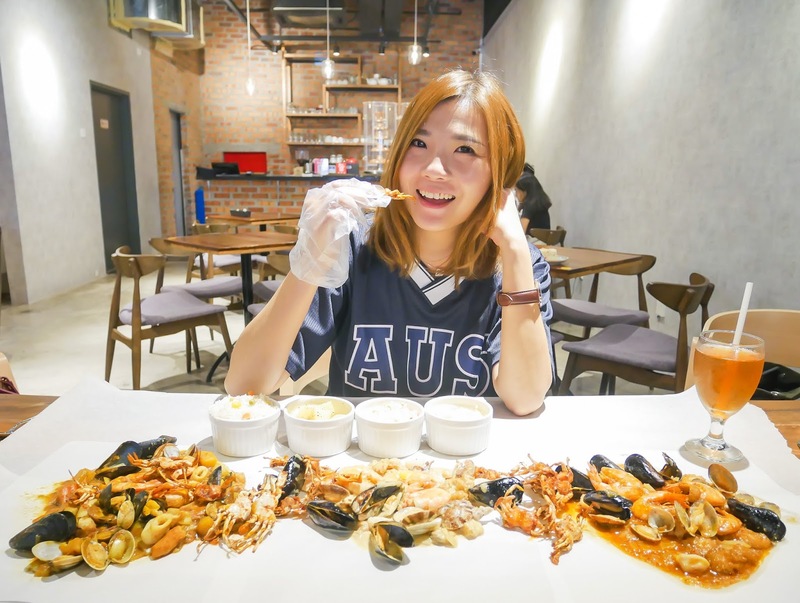 Yet, if you are sensitive with a certain seafood, for instance prawns, you can ask the staffs to replace it with another seafood. This is the combo set with the curry sauce. It's curry sauce is so silky and rich, but with mildly spicy and deliciously sweet. Honey & mustard sauce is my most favourite one among the others. 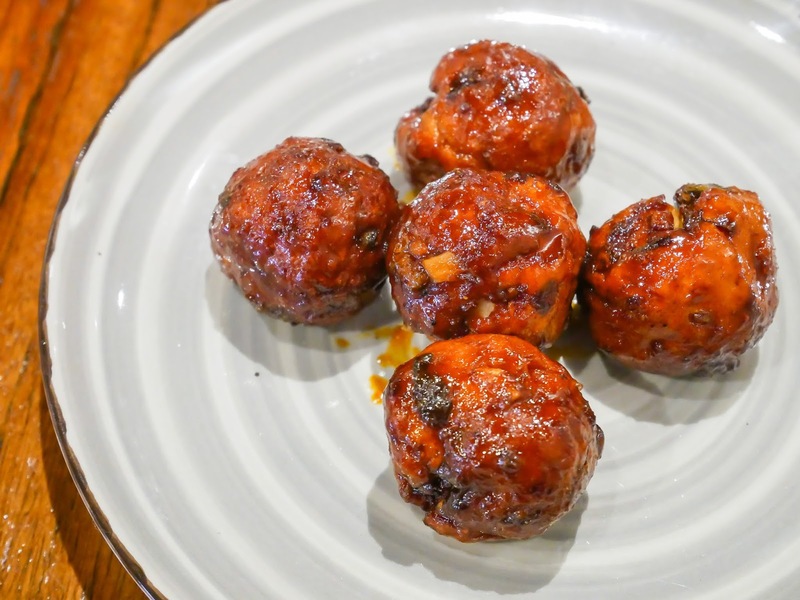 It doesn't have a strong mustard flavour as I think the chef has added a little bit more honey to sweeten it the overall taste a little bit. Definitely an awesome blend of mustard with a wonderful hint of honey. 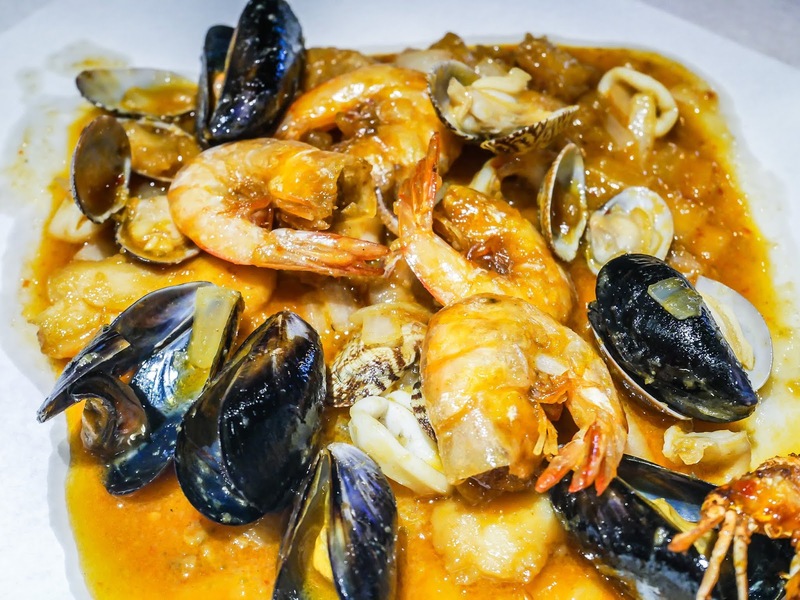 Here comes the must try Sinful signature sauce, with a mixture of sweet and savory tastes. However, all the three different sauces we tried were not very spicy; if you want something really spicy, you can try their Bbq, or spicy & sour sauces. 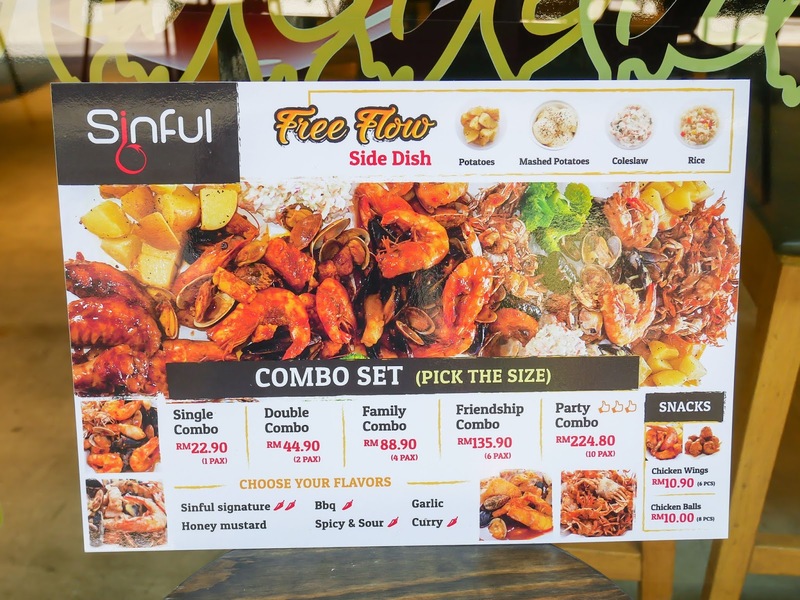 Oh well, all combo sets come with free-flow side dishes! You can ask for free refill of your choice of their potatoes, mashed potatoes, coleslaw, and rice as much as you want. 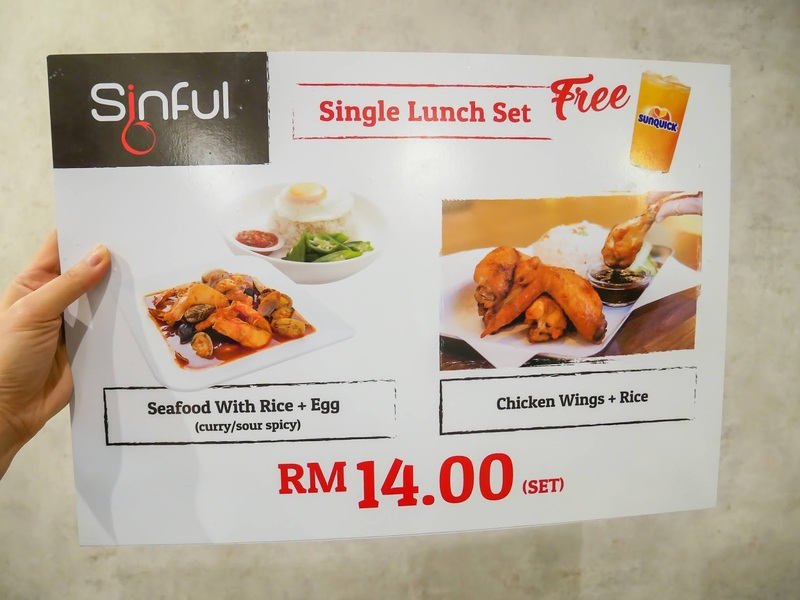 Besides, Sinful also serves some homemade snacks such as special made chicken wings @ RM10.90 (6 pieces) and chicken balls @ RM10.00 (8 pieces) on their menu. 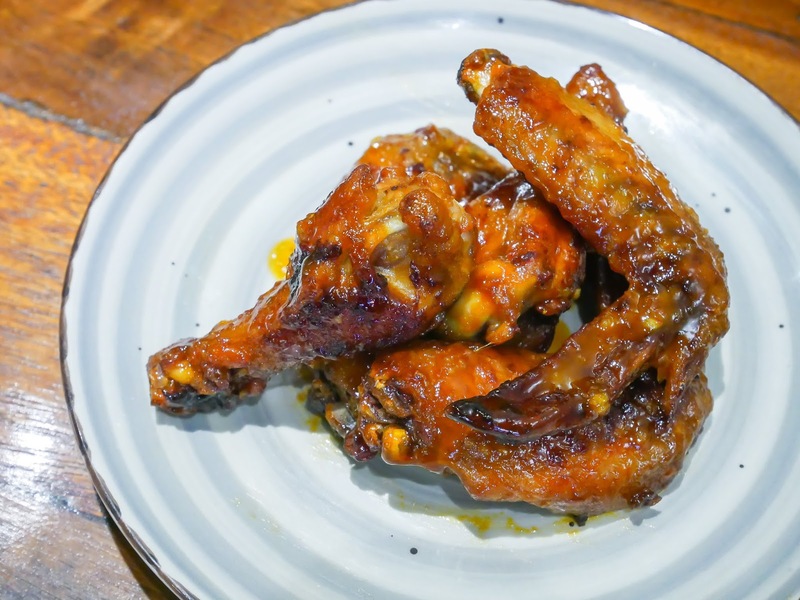 The chicken wings give a tasty pop of sweet flavour, while the chicken balls are moist and packed with flavour. The restaurant also offers their special value lunch sets that come with a free beverage. It's pretty affordable and worth a try if you are looking for a place to have lunch. 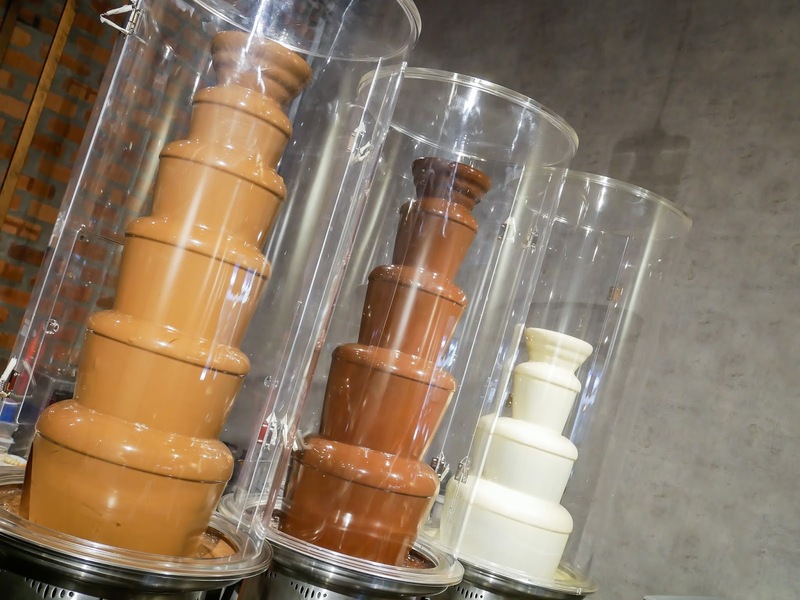 With their specially prepared chocolate fountains, the dessert bar can easily incorporate their wide range of desserts with different types of chocolates, from white to dark. 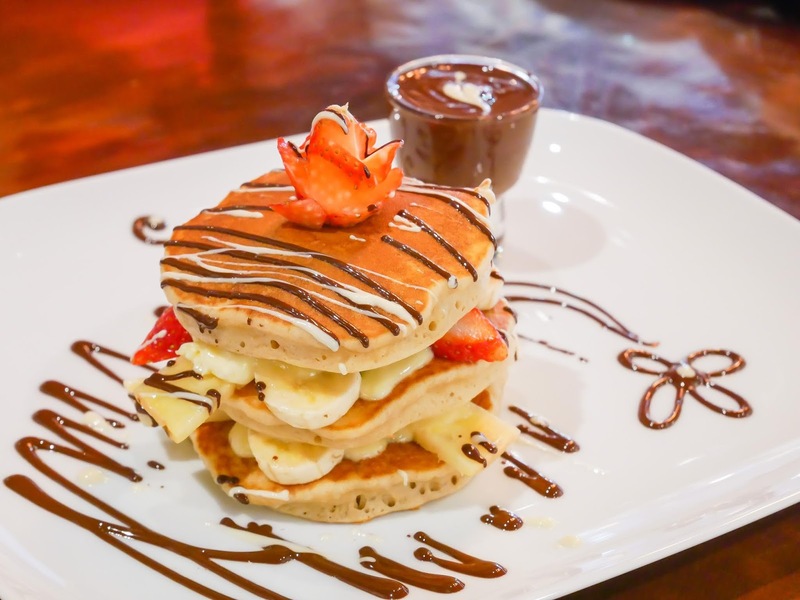 Sinful Fruits Pancake @ RM28.50, is a pancake tower that assembled with three pancake layers. Each layers are filled with different types of fresh fruits such as bananas, strawberries, pineapples and then drenched with chocolate sauce. 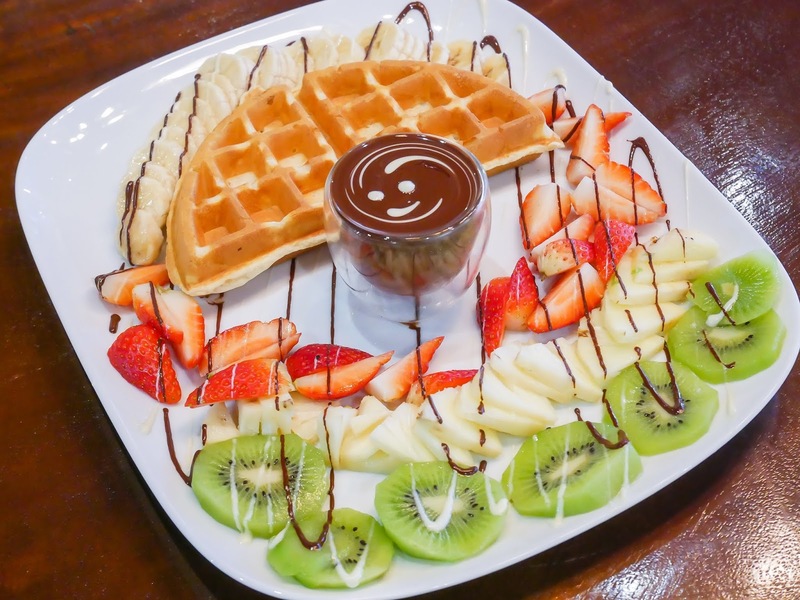 Sinful Fruits Waffle @ RM38.50 is another healthy delicious fruit dessert option. The hot and crispy waffle paired with an assortment of fruits like kiwis, bananas, pineapples and strawberries will surely make it your favourite instantly. Chocolate Magic Ball @ RM29.50 has a beautiful presentation and delicious flavours. 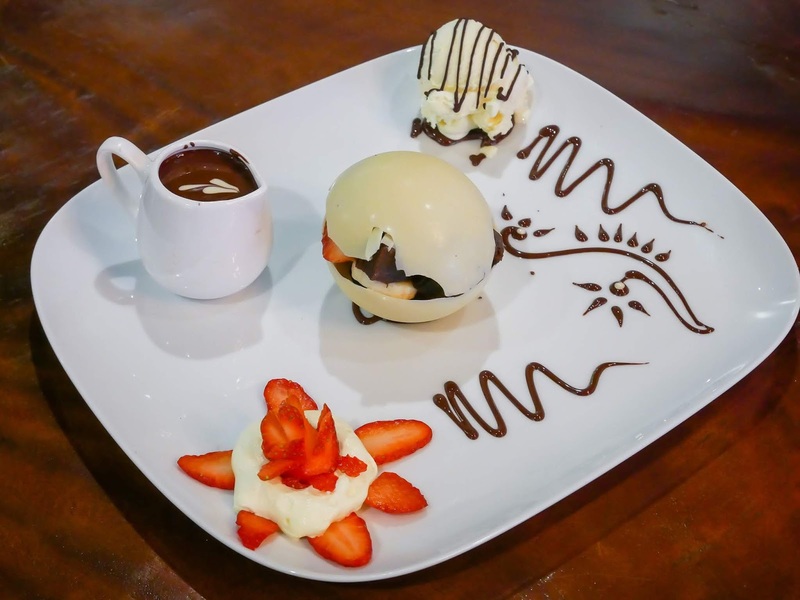 It has a white chocolate ball that made with white chocolate and paired with a scoop of vanilla ice-cream and strawberries as the side dishes. 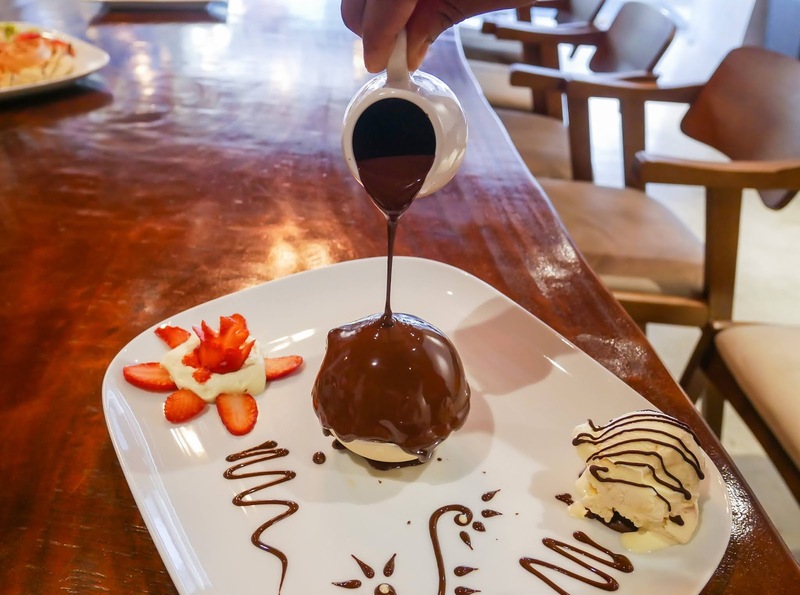 The staff then will pour the hot chocolate over the balls and make the whole thing melt away and reveal the epic dessert underneath. Chocolate Crepe @ RM20 is delicious which not overly sweet and heavy as a decent dessert. 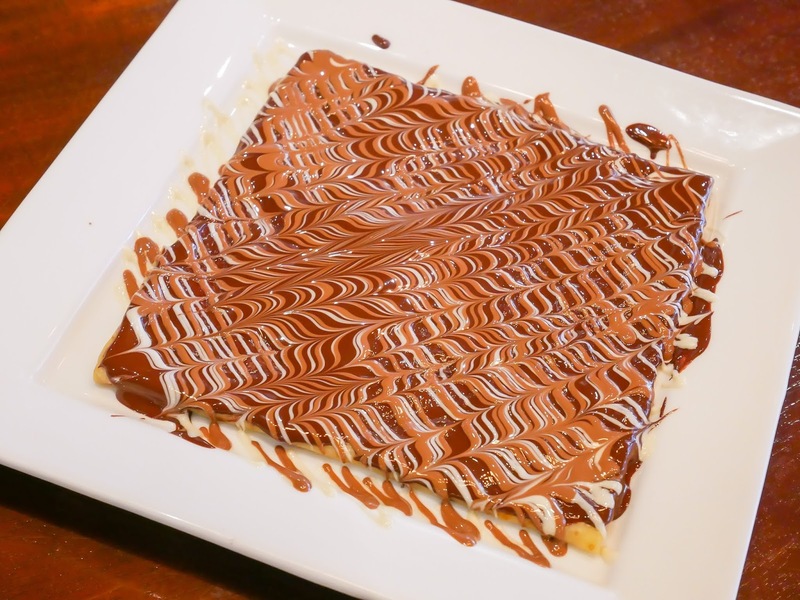 A very tasty dessert that has a soft and thin crepe that filled with pure melted chocolate on it. 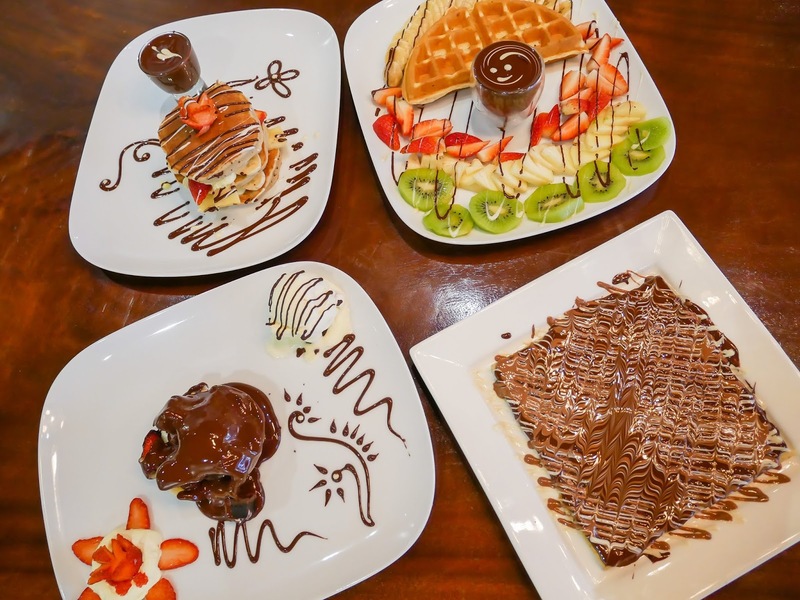 Most of the desserts on their menu can ask for extra ice-cream with additional RM4.00 and also chocolates for additional RM10.00. That's all about my foodporn sharing for today. 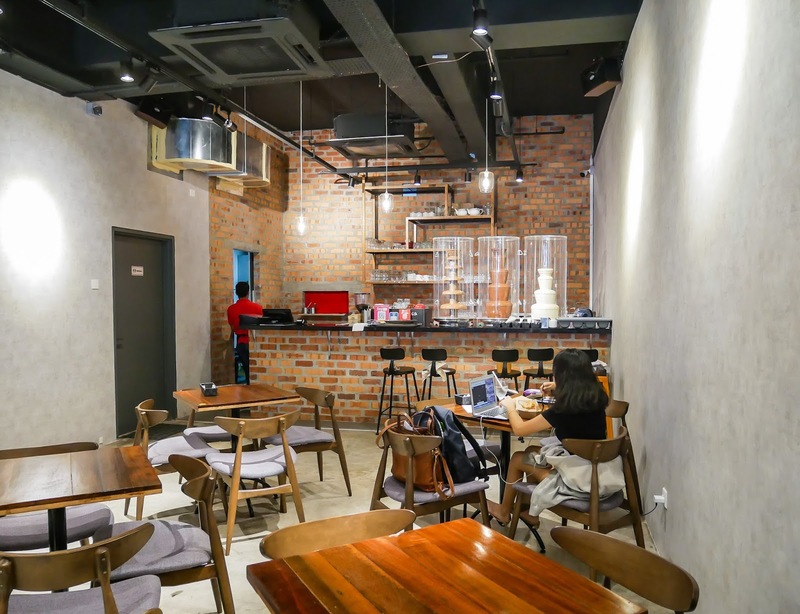 Overall, I think the desserts here are not bad to try out if you are looking for a new dessert place as they offer quite a lot of choices to the customers. As for the main course, my taste buds were thoroughly satisfied. Hopefully you guys enjoy reading it.